ARE YOU LOOKING TO BE A PROFESSIONAL MODEL? Live a life of glamour and fame? Travel to exotic destinations for free? Make extra money for easy work? If you can say yes to ANY of these questions, then J&H Modeling is absolutely for you! Are you ready for a life-changing career in the entertainment industry? Come see why climbing the corporate "pole" is much more exciting than climbing the corporate ladder!! 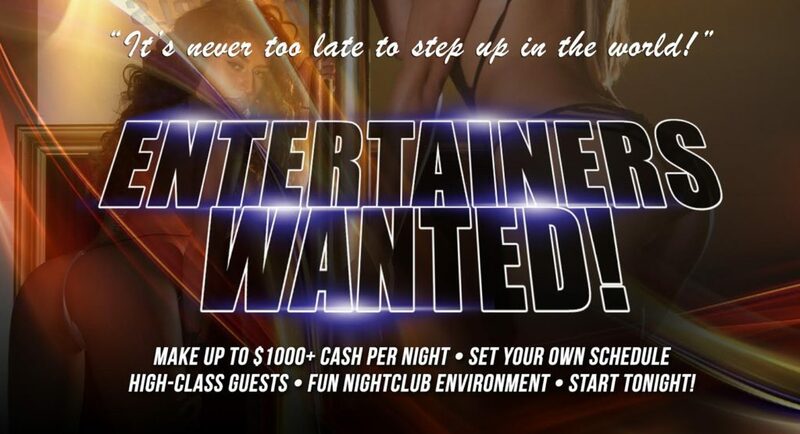 Deja Vu - The World’s Largest Adult Entertainment Group - is recruiting for new managers! With over 170 locations worldwide, we are the undisputed leader in Upscale Strip Clubs. Our managers are the lifeblood of our business and have day-to-day responsibility for operating our upscale clubs! You will be in charge of overseeing the operation of the club, including food & beverage, entertainment, hospitality, back of house, recruitment, guest relations, ordering, inventory, and most importantly, making the party happen every single night! We are all about providing exceptional guest service and WOWing our guests at every turn, so you must absolutely embody the “VIP Mentality.” The ideal candidate would be described as a self-motivated, success-oriented, outgoing, and coachable team player with a can-do winning attitude! We ONLY want friendly, outgoing, FUN people! You must be the right “personality fit” to succeed in this position. If you are not FUN and FRIENDLY, then PLEASE DON'T APPLY! Management experience in the hotel, restaurant, bar, nightclub, or entertainment industry is REQUIRED. However, adult club management experience is not. You must be willing to commit to one month of travel for VuNiversity - our initial training (Nashville, TN, & Las Vegas, NV). You must be willing to work at a location listed on our website. Please see our Locations Directory to verify a suitable location for you. If you think you have what it takes to join the most elite team in Adult Entertainment, apply ONLY by emailing your resume and picture. Compensation DOE. Professional (but totally super fun) environment. Clubs can be noisy, crowded, and/or smoky. You must be comfortable working in an adult-oriented environment.